A class action suit has been filed against Disney and other studios including Dreamworks Animation, Pixar, Lucasfilm and ImageMovers Digital. It's the latest development in an ongoing series of legal issues involving high-tech companies like Apple, Google, Adobe and Intel that has now spilled over into animation. At the heart of the controversy are alleged "anti-poaching pacts" between the named companies by which they agreed not to recruit talent from each other. The fallout of these "gentlemen's agreements" is that employees were potentially denied better career opportunity and higher salaries. It's an illegal and unethical practice that may have been done with the full knowledge and approval of top executives including Steve Jobs, Ed Catmull, John Lasseter and Jeffrey Katzenberg. In the latest Inside The Mouse Castle, Anthony and I discuss the controversy and how Disney could be in a world of hurt over the results. We also revisit the Mouse House's trademark battle with musician Deadmau5, who is not backing down from the fight and is actually going on the offensive. Guardians of the Galaxy continues to take advantage of weak movie competition to rule the box office. Robert Downey, Jr. told Variety there are no plans for an Iron Man 4 and he may be telling the truth...for now. We talk about what we think Marvel's long-term cinematic plans for Tony Stark might be. Now is a good time to catch up on Marvel's intertwining story lines. Both Captain America: The Winter Soldier and season one of Agents of S.H.I.E.L.D. are now available on Blu-ray. 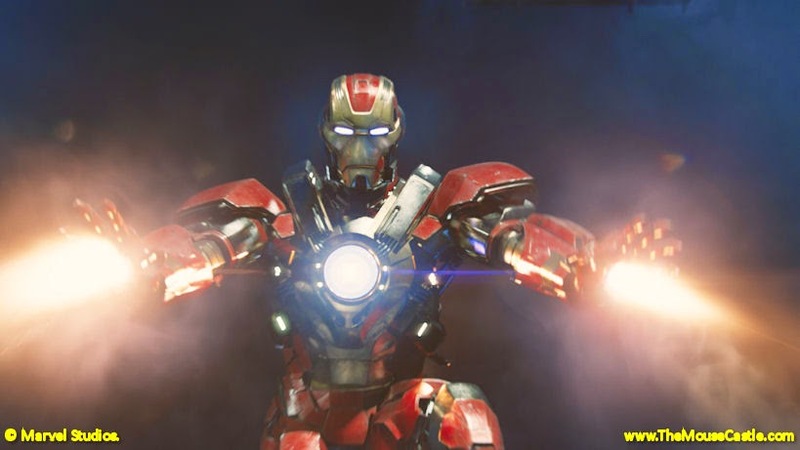 Will Robert Downey, Jr. suit up for Iron Man 4?